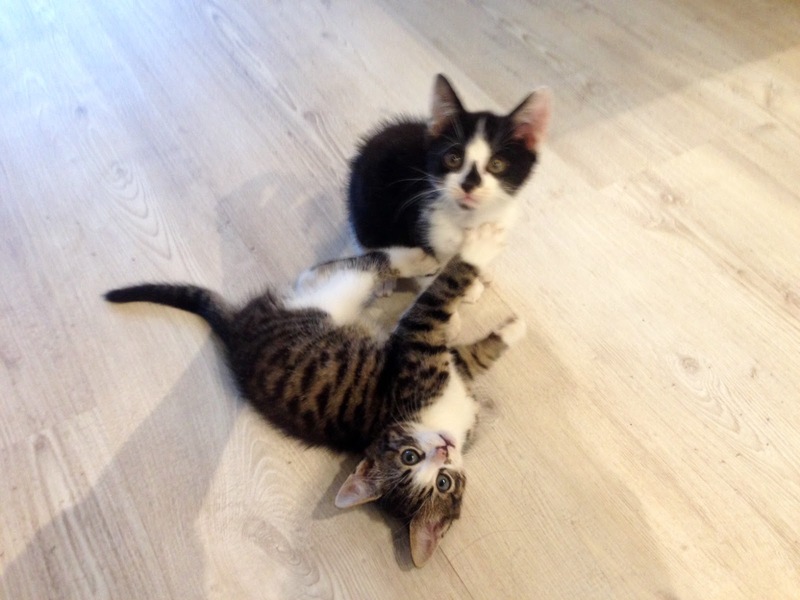 Charlotte in England: Our new Kittens, Sebastian & Jacob! Having moved in 2 months ago, most of (phew) the hard work is done. 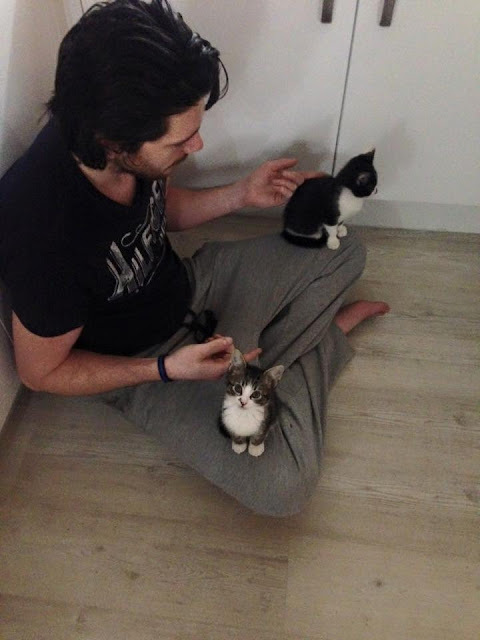 We needed to make it more homely, so... we got two kittens! Both little boys; Sebastian and Jacob. It was not the easiest of tasks. In fact it was hard work. I want them to stay small forever! We were looking on the Pets4Homes website for weeks. I joined all the 'Pets for Sale' pages on Facebook locally, Pre Loved and Gum Tree and had no joy. Every person we got in touch with told us they were already sold. On a Saturday night I just popped on the pets4homes site to have a quick look and I found these little guys. We phoned straight away and went to collect them that night! The lady told us she had 3 calls in 6 minutes of the advert being online. They're selling like hot cakes at the moment. So, off we went to Birmingham to bring them home. Here is a little video of the guys as soon as we got them home. They are wonderful, we love them to bits. They are currently 9 weeks old and growing by the day. I want them to stay small forever! I've uploaded a super cute video of Sebastian snoozing last night. I'll keep you all informed on their progress. They are so cheeky!